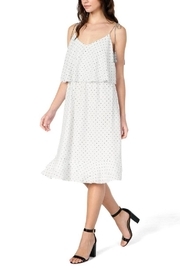 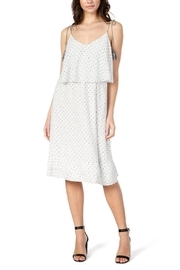 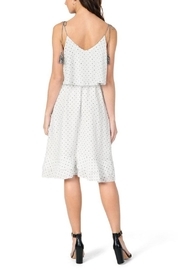 Celebrate spring with this light and breezy polka dot dress. 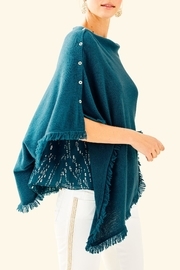 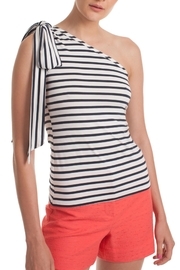 With tassel ties at the shoulders, we love it paired with a simple necklace and high heeled sandals. •Below the knee length •Black and white adjustable shoulder ties with tassels •Elastic under bust •Flouncy top layer •Tiered ruffle bottom •White lining •100% polyester (lining is 100% rayon) •Hand wash cold and lay flat to dry for best results •Model is wearing size Small •Our team thinks this dress runs TTS or slightly large; we suggest sizing down one size for a more fitted look.